The way credit companies score a potential borrower seems to change year-by-year and the three big guys, Experian, TransUnion, and Equifax are technically all the same company with various scoring methods. If you research online, you’ll find hundreds of different websites talking about how credit scoring works and what you’ll need to get a mortgage. While there are several reliable sources of information, there are also myths out there and unreliable details that could frustrate you and disappoint. So what are those mortgage credit scoring myths that are so prevalent? Whether you are buying a new home, moving up, getting a refinance, or buying a second home or investment property, your credit score matters a lot. Here’s what to know and what to discard in the realm of credit scoring and your mortgage. Fact: poor credit scores and reports can affect your ability to rent, obtain insurance, and obtain a home loan. It’s important to have awareness of your credit scores to improve your life, save you money, and open up the world of home loans, insurance, and just about any type of money related issues. Fact: credit card companies use a different scoring system then the mortgage approval process. Credit scores provided by credit card companies are typically higher than those used by home loan lenders. So, many people will choose to get a free credit score from their credit cardholder, but these scores can be skewed. Lenders may use a completely different set of scores so it’s important to get your score directly from your lender or from one of the three major credit scoring companies. 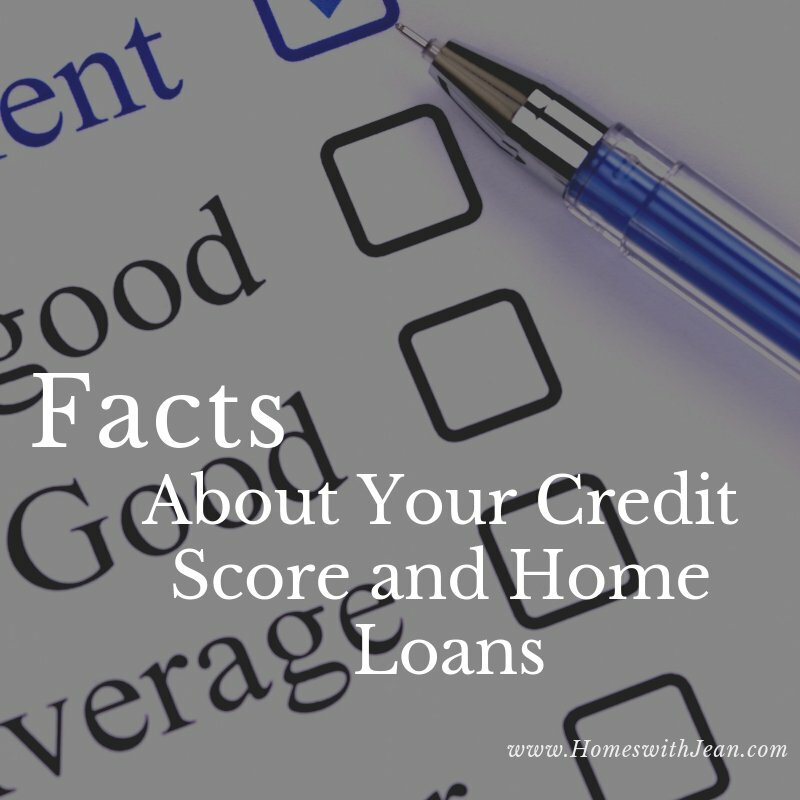 Fact: the middle credit score is usually the determining score used by mortgage lenders for approval. The lender will take a look at all three different credit scores and usually use the middle credit score for single borrowers to determine credit approval and interest rate. For two or more borrowers, the lower of the two middle credit scores is often determined for qualifying approval and interest rate. Fact: you can get a free annual credit report annualcreditreport.com and all three credit bureaus will have the exact same consumer account information available to them even if the credit scores are slightly different. Fact: consumers to check their credit history, report, and score at least once a year to avoid any errors or credit fraud. Fact: checking on your credit score once per year will not hurt your credit score. So, did you learn a little something and feel better about your credit score? Knowledge is power and the more you know about your own credit report the better position you can be in for buying and obtaining a home loan.